FAQ MEMBERSHIP What do I get for my money? Having a BEAUTY PIE membership is like having a backstage pass to shop straight-off-the-manufacturing-line from not one or two, but a multitude of world-class cosmetic manufacturers. BEAUTY PIE allows our members to get the hottest new (and bestselling classic!) cosmetic formulations – which arrive in our warehouse in waves – at the actual and fantastically affordable Members Prices. Is a BEAUTY PIE membership a subscription? No. A BEAUTY PIE membership is NOT A SUBSCRIPTION. We’re like a BUYERS CLUB FOR BEAUTY PRODUCT ADDICTS. We won’t send you anything (maybe just a few emails) until you order from us. You can choose exactly what you want, and when you want it, within the parameters of your membership and your available allocation. No. BEAUTY PIE will only send you products when you place an order with us. If you don’t order anything, your allocation will remain until you feel like shopping. Yes. BEAUTY PIE is just like any other beauty brand. If you want a new lip-gloss and a bronzer for your upcoming holiday in Bali, go for it! Want to order your best friend the perfect eye-shadow palette? No problem. Simply need an amazing new mascara? Absolutely fine with us. Yes, there are. Every BEAUTY PIE membership comes with a clearly stated monthly allocation which limits how much in Typical Price value you can buy at Members price each month. (Any unused allocation rolls over and piles up, so you still have it as long as you’re an active member.) We may also restrict the multiple of the same product that each member can buy, if stocks are limited, to give all of our members a chance to get their hands on hot new items! - when new products arrive, all BEAUTY PIE members get an equal opportunity to buy from the PIE. - we have a good balance of inventory in our warehouse, of new products, member favorites, bestsellers, limited editions and ‘giftables’, so you can get the most out of your membership. As a BEAUTY PIE member, you can buy up to your allocation (in Typical Price value) worth of products every month, but you pay the totally transparent Members Prices. If you’re not a maths whiz and you want to see how this works, just add some items into your shopping bag and you’ll see your allocation changing at the bottom of your shopping bag. It’s easy to see how much you’ll save. Why do i have an allocation? 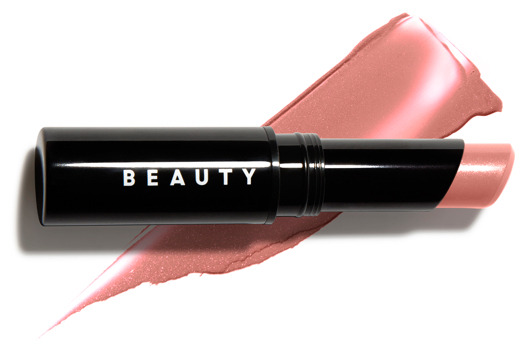 Don't forget, BEAUTY PIE is like the buyer's club for BEAUTY ADDICTS. You pay for access to our transparent Members Prices, no mumbo jumbo, no middlemen. As a business, we have to pay for inventory, technology, people, product developers, creative and everything else that comes along with overheads. So yes, allocations have been calculated and capped based on what will make BEAUTY PIE viable, but even when you add membership fees and shipping, you’ll be saving a bundle! Member’s allocations are in place to ensure that we have a good balance of inventory in our warehouse, of new products, member favourites, bestsellers, limited editions and ‘giftables’, so you can get the most out of your membership. We trust you’ll see the benefit of BEAUTY PIE membership on your bottom line. If membership doesn’t make sense for you, we’d love you to still shop, even without signing up, like you do everywhere else. Because BEAUTY PIE is magnificent! Simply add the type of BEAUTY PIE membership you want; you can buy a membership on its own or add it to your bag with your first shop of BEAUTY PIE products (which – if a membership is in your bag – will automatically appear at their transparent Members Price). Active memberships automatically renew at the end of their terms (whether monthly or prepaid for a year). You may cancel a newly-purchased membership at any time, without having to give a reason, within 14 days of the day after you purchased the membership. If you have not yet placed any orders for Products using your membership, you will be refunded the full cost of your membership. If you have placed orders for Products using your membership, we reserve the right to deduct from your refund the reasonable cost of providing the membership to you, which is calculated as the Typical Price (i.e. non-member price) of the Products you ordered, minus the Members Price you paid for them. If you wish to cancel a membership, please contact our Customer Services Department on UK: +44 808 164 8264 (standard local call charges will apply) or via email on customer.service@beautypie.com. You can also contact the Customer Services Department by post at: Beauty Pie Limited, Customer Service Department, The Point, 210 New Kings Road, London SW6 5NZ, United Kingdom. Please quote your order number in all correspondence. Can I use my remaining allocation once my membership has been cancelled? Please be aware that in cancelling your membership with us, all remaining allocation is consequently eliminated. Consider using up your allocation before cancelling as it may not be accessed afterward. I have a Monthly/ Annual Membership. What happens if I want to buy less (or more) than my allocation? Any allocation remains in your account as long as your membership is still active. So if your allocation is £100 but you only spend £60, your next month’s allocation balance will increase up to £140. If you cancel your membership, however, you forfeit any unused allocation. Don't forget about your friends: BEAUTY PIE products make great gifts! If you’d like to have more allocation every month, you have the option to UPGRADE. Upgrades can be added to your account at any time. To upgrade go to the allocation bar at the bottom of your page and click "Upgrade your allocation". HOW BEAUTY PIE WORKS Why did you start BEAUTY PIE? We’re a team of beauty-product obsessives, all with many years of cosmetic industry experience, all who LOVE to buy the latest/most luxurious cosmetics as soon as they launch (like you, right? ), but balk at the layers of cost added in to the typical price of a luxury lipstick, or the world’s best bronzers, or high-tech active ingredient skincare. With our skill sets combined (we’ve got world-class people in sourcing, packaging, testing, copywriting, design, tech, and product development), we realized we could bring luxury formula cosmetics and skincare to all the girls out there that are just like us, without the multiple layers of added cost. With enough like-minded girls in our club (think of BEAUTY PIE as a buyers club for beauty addicts!) we can all do what we love (source some of the best skincare and cosmetics from around the world) without the stress of third-party distribution deals or hitting high-pressure daily sales targets at department stores. And, by having membership fees to pay our salaries, we can lose the luxury level added price that is typically built-in to pay the middlemen. There isn’t one. We pull together the collective buying power of thousands of discerning makeup junkies to cut out the middlemen. Be our guest, but you might want to put a few bags together and look at the bottom line before you decide. Being a BEAUTY PIE member is like having a virtual backstage pass into some of the best skincare and makeup manufacturers in the world. Why wouldn’t you want to buy the latest luxury cosmetics at our totally transparent members prices? PRICING Why can I see two prices for each product? Each BEAUTY PIE product has two price options: a Typical Price, for those who are perhaps not quite ready to commit to a membership just yet, and a Members Price, for those who’ve signed up to join our members’ collective. What is the Typical Price? This is the price we charge to non-members for BEAUTY PIE products, which is a competitive price in the current marketplace for a cosmetic product of this quality. How do you calculate the Typical (non-member) Price of your products? Like any cosmetic company, we factor in many things when deciding on a Typical Price for an item in our line. Typical industry cost-plus pricing on makeup is often up to 1200%+ (that’s 12X the actual cost of the finished product fully packaged, boxed, polished and ready for retail and don’t even get us started on the numbers on skincare). But when we sat down to do that maths – and because our members’ allocations are measured by our Typical Prices - we realized that applying that kind of multiplier just wasn’t going to work. So we did a huge project, looked at other premium products that had the same great quality formulations, and packaging that were on par*. We averaged the retail prices of products that were ‘equal’ and then took a few dollars/pounds off the top, not only to make our member’s allocation stretch further, but to be competitive, for non-members too. Not everybody buys enough beauty product every year to amortize a membership, and we’re hoping to have non-members shopping from us too, because BEAUTY PIE makeup is great! * don’t forget, we don’t clad our products in metal coverings, because the more you process and glue things onto a cosmetic component, the less likely it will ever be recycled. So our products will not have the heavy metal cladding that some luxury cosmetics do, we believe people shouldn’t be paying extra for layers that just end up creating landfill! What is the Members Price? We’re hoping that BEAUTY PIE membership fees will pay our salaries and expenses, leaving us to focus on finding and sourcing great quality cosmetics from leading suppliers around the globe, and bringing them direct to our members without the layers of middlemen! At BEAUTY PIE, we transparently unpack the Members Price of every product in our collection, so our customers can see exactly what we’ve spent, and what’s being passed along to them when they buy from BEAUTY PIE. That’s what we call Cost Transparency. You’ll see a cost transparency outline for each of our products on its detail page (you’re not just getting a bigger piece of the pie, you can see how much each of the pieces cost) and if you’re curious, there is an information page about BEAUTY PIE product Cost Transparency here. Why does the Members Price of an item change from time to time? The current Members Price of any BEAUTY PIE product is linked directly to the volume we buy – and any saving associated – from our suppliers, labs and factories. So for instance, if we’ve got 100,000 women buying a mascara every month, the Members Price will likely be lower than if we’ve only got 1000. (Which is why we say that BEAUTY PIE IS A BUYERS CLUB FOR COSMETIC ADDICTS). Larger quantity orders give us negotiating leeway. That’s why you might see slightly higher (remember, it’s all relative) Members Prices for some new launches, for the ’ of-the-moment’ trend colors that we don’t buy large quantities of, or for any new product categories we’re testing. BEAUTY PIE relies on collective buying power of all our members to get the hottest new cosmetic formulations - which arrive in our warehouses in waves - at the actual (and fantastically low) members prices. This is why it is so important that we grow our community and how you can help reduce the price you pay, by simply introducing more of your friends to our membership! GIFT MEMBERSHIPS How do I gift a BEAUTY PIE membership? Send a personalized membership notice via a simple e-mail with gift-code. Click here to see all of the BEAUTY PIE GIFT MEMBERSHIP OPTIONS. You can redeem your BEAUTY PIE gift membership by following the instructions in your gift membership e-mail or go to Gift Memberships. Can I use my allocation to buy gifts for friends? OF COURSE you can use your allocation to buy gifts for friends. Who wouldn’t? You get the same amazing BEAUTY PIE members price on everything you buy for her (or him), just add another shipping address during checkout. Normal Shipping costs apply. OUR PRODUCTS Where are BEAUTY PIE products made? 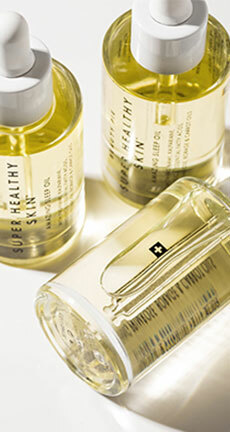 BEAUTY PIE products are produced at some of the world’s leading luxury cosmetics and skincare labs and manufacturers. We currently produce products in France, Spain, Korea, Italy, Germany, Japan, the UK and the USA. Each of our individual item pages states the country of origin of the product featured. You’ll see it listed just below the product name/benefits and above the review ratings. How will I know if BEAUTY PIE products are good quality? Our products aren’t good, they’re GREAT. Because we don’t have to pay huge margins to middlemen. Nor do we have to worry about shaving 25 pence out of our favorite lipstick to meet our end-of-year budget targets. Our everyday mission is to go out and source some of the world’s best beauty products, and to bring them to our members at their transparent Members Prices. Instructions for BEAUTY PIE product use can be found on each product’s detail page, along with a good description of why we love it, what it does, and which ingredients it includes (and doesn’t include). You can also find a wealth of beauty ideas and inspiration in our emails and in our online magazine, The Beauty Dept. We also hope that soon, the members of BEAUTY PIE will have #hashtagged so many VLOG makeovers with #BEAUTYPIE products, you’ll never be short of ideas. Join us on Facebook, and Instagram to make sure you don’t miss anything. We LOVE to hear feedback from our members and leaving a review on a product you’ve purchased is very straightforward. This may be done by going to the product page and scrolling down, where you will find the “Write Review” link. From there you will be able to write your review. You will not have the option to write a review if you are not logged in as a member. All reviews must be approved by our team. It can take up to seven working days for a review to be approved and appear on the product page, as we need to ensure it follows our ACCEPTABLE USE POLICY (found on our terms and conditions page). Does BEAUTY PIE perform testing on animals? At BEAUTY PIE, we do not believe in or authorize animal testing for our products or the ingredients that go into our products. (This means we do not do animal testing, our suppliers do not do animal testing, nor do we pay people to do animal testing for us). Each of our product information files contains a declaration from the supplier that their products are not tested on animals, and that the ingredients comply with the European Ban on Animal Testing. Earthinks® are among the most environmentally-friendly inks on the planet, are glycol and silicone free, contain no heavy metals, and have a zero voc level. We’re proud to say that we use them for all of the printing on our send-out packaging. 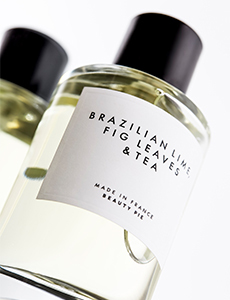 On first feel, you might suspect that BEAUTY PIE products feel ’light’. You won’t see us using any over-the-top fancy caps or rigid false-bottomed plastic jars. We’ve chosen plant-based inks and recyclable and recycled board for our cartons. And because it’s difficult on the environment (and the people who have to work with it) we do our best to avoid metallics and foil. Too much cosmetic packaging currently ends up in landfill, and the more complex the componentry, the less easily it can be broken down for recycling. At BEAUTY PIE, we’re always working to make our packaging as ecologically conscious as possible and welcome your suggestions, comments, and concern. YOUR ORDER How long does delivery take? If you chose our standard Royal Mail service please expect 2-3 working days for your delivery. If you have not received your order after 5 working days, please check your My Account page for your tracking code and track it on the Royal Mail website. For our UK express service, provided by DPD, expect 24 hour working days delivery. If you have provided your mobile number, DPD will send text messages to keep you updated on your order’s status. You will also be able to change your delivery slot by replying, if the proposed date and time doesn’t suit you. Please note if an order is placed after 2pm on Friday it will not be dispatched until Monday and the applicable working days delivery time will apply. You can track your order, just go to your My Account page and find the order in question (or click on the tracking code included in your order confirmation email). Tracking codes are linked directly with our delivery service provider, so you can track your package directly online. If you are still unable to track your order please contact us with your order number and we’ll get back to you as soon as possible. An item in my BEAUTY PIE order has arrived damaged. In the unfortunate event that an item has been delivered to you damaged, please e-mail our customer service team with your name, the order number, the name and a photo of the damaged item, and any other details, and we’ll respond as soon as we can! We’d like to apologize for your inconvenience. Some of the item(s) in my BEAUTY PIE order are wrong. If you’ve received the wrong item (or items) you can either e-mail our customer service team or contact us on Twitter @beautypie with your name, the order number, the name of the item you received, and the one you actually ordered, and we’ll respond as soon as we can! Our apologies for any inconvenience you’ve encountered! Which countries does BEAUTY PIE currently ship to? BEAUTY PIE is currently shipping to the United Kingdom and the United States. (We’re just getting started, so don’t want to bite off more than we can chew.) We’ll be launching in more countries as soon as we’ve got enough stock – so please sign up for our mailing list and follow us on Facebook and Instagram to keep up with us! How much does BEAUTY PIE charge for shipping / delivery? We offer two options for delivery; Standard and Next Day. The full breakdown of these charges may be found on our Delivery page: www.beautypie.com/delivery. Not happy with one of your products? While it’s not what we want to hear, because we hope you love each and every thing we make, would you please take a few minutes to tell us about it so we can learn and improve to give you the best possible BEAUTY PIE experience? Click here to give us your thoughts. Can I change my delivery address once I’ve placed an order? To bring our PIE members their slice as efficiently and quickly as possible, orders are processed as soon as they are received in our warehouse. It is therefore impossible to change any details on an order once you have received confirmation. If the parcel is undeliverable, it will be returned to us and we are then able to redeliver to your amended address. RETURNS & CANCELLATION Can I return a BEAUTY PIE item if I don’t like it? If a product you ordered from BEAUTY PIE arrived damaged, or we sent the wrong thing, email our customer service team, quoting your order number. If you’ve ordered a product in error, click here to email us for the necessary return authorization. Due to safety and hygiene restrictions, only unopened items that are in the same condition that you received them can be returned. Customers who return products that are not in a hygienic or resalable condition, or return products without prior authorization, will not be credited, and the returned items may be discarded. You can cancel your order by notifying us within 14 days of when you receive it. We will refund you for any resaleable products returned to us, plus the cost of Standard Delivery. (Please note that you are responsible for the cost of returning the products). For a detailed explanation of our returns process, please see our Terms and Conditions. PAYMENT What payment methods does BEAUTY PIE accept? BEAUTY PIE accepts American Express, Debit Mastercard EEA, Maestro International, Mastercard Business, Mastercard Corporate, Mastercard Credit, Mastercard Debit Commercial International, Mastercard Debit Personal International, Mastercard Fleet, Mastercard Purchasing, Mastercard Signia, Mastercard World, UK Maestro, Visa Business, Visa Corporate, Visa Credit, Visa Debit, Visa Debit, Visa Debit Commercial International, Visa Electron, Visa Purchasing and Paypal. How is payment taken each month? Your monthly membership fee is automatically taken from the most recent payment method used on your account. This means, if you place an order using an alternative method to that you signed up with, your monthly fee will be taken from this account thereon in. You may add or amend your payment methods under ‘My Account’, ‘Payment Methods’ at any time. How can i contact somebody at Beauty Pie?